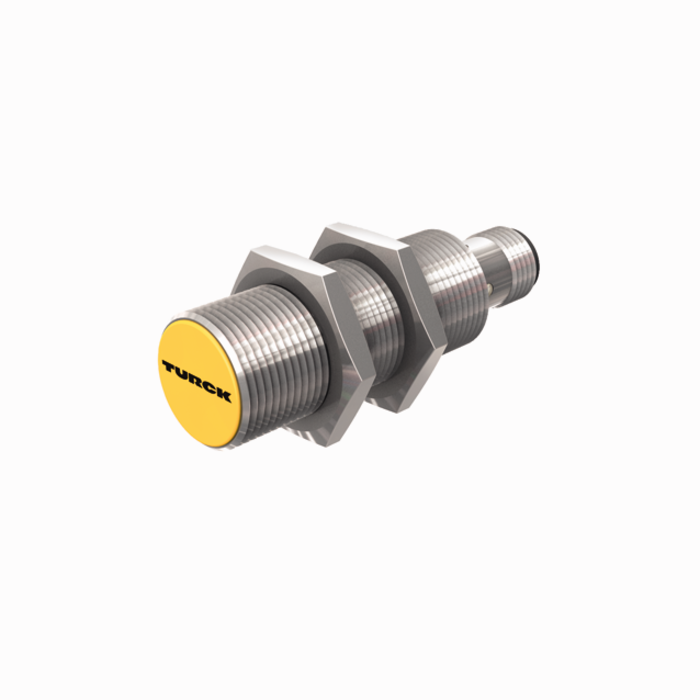 Inductive Sensors by Turck | Ohio Belting & Transmission Co.
Turck inductive proximity sensors are manufactured with a shielded coil, designated by “Bi” in the part number, and a nonshielded coil, designated by “Ni” in the part number. Embeddable (shielded) units may be safely flush-mounted in metal. Nonembeddable (nonshielded) units require a metal free area around the sensing face. Because of possible interference of the electromagnetic fields generated by the oscillators, minimum spacing is required between adjacent or opposing sensors. It is good engineering practice to mount sensors horizontally or with the sensing face looking down. Avoid sensors that look up wherever possible, especially if metal filings and chips are present.